January | 2012 | eating with S.O.L.E. 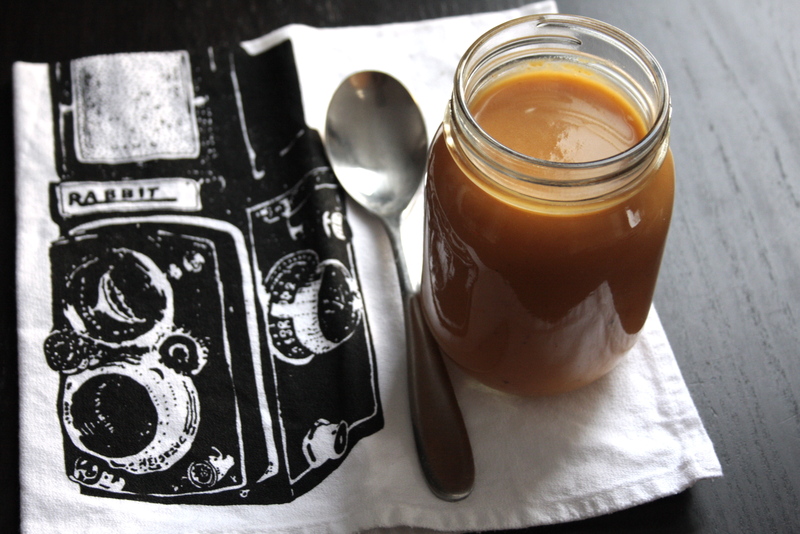 What a great use for apple sauce or as it was in my case apple pear butter (which I slaved over for days.. literally) back in the fall when I was drowning in apples and pears I made batch after batch of sauces and butters. 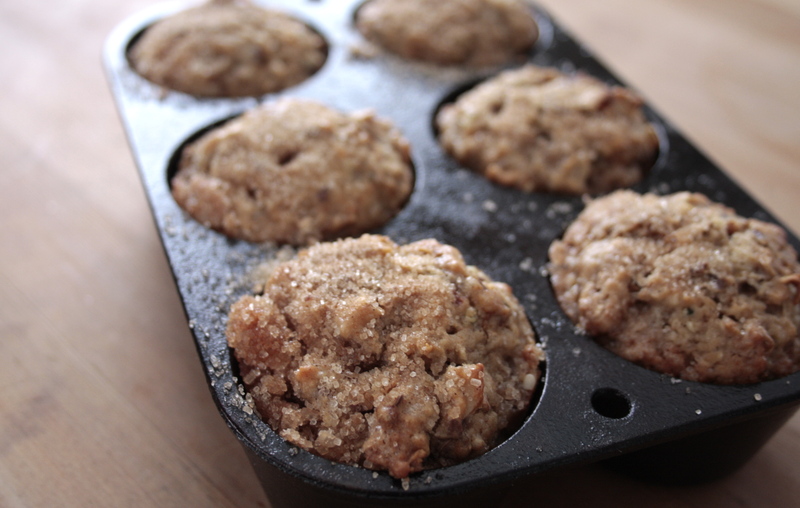 I found I really love my ginger pear butter slathered on toast, but I don’t so much love the apple butter straight up… So this is the perfect solution for “using up what I have been putting up”, soft fluffy spelt muffins filled with oats, flax and hemp seeds with fresh ginger and shredded apple, all topped with a cinnamon sugar sprinkle, oh my. Spoon batter (which is thick) into oiled muffin pans, sprinkle with cinnamon sugar and bake at 350 for about 20-25 minutes, or until golden brown and a toothpick come out clean. Well I guess my luck leek soup wasn’t that lucky after all, because my sweet little girl has come down with this crappie bug going around, and so tonight when she requested mac and cheese, I couldn’t say no… especially after torturing her all day with oregano oil, and other cold fighting witchery. There must be something in my DNA which I unknowingly passed down to her, that has a deep routed LOVE for carbs covered in melted cheesy sauce. I must admit it’s hard for me to say to this request ever, as I am just about always up for mac ‘n cheese. HOWEVER over the years I have come to adjust my mom’s golden gratin recipe full of butter and cream to my homestead healthy versions.. often using gluten free pastas and flours, lots of veggies (sometimes even pureed and hidden all together), I have even made a few delicious vegan versions. It’s funny as I was enjoying this dish I did a quick surf through all the recipes I have posted which resemble these mac ‘n cheese spin offs… here are 8 of the ones I have loved before. As for tonight’s meal I used this lovely organic cottage cheese made fairly locally, along with a dollop of cream cheese and a smudge of butter, no flour and no gluten. I actually used a new organic spiral noodle that is corn and rice… it took forever to cook and yielded the standard rice noodle snot water, but they were pretty good! 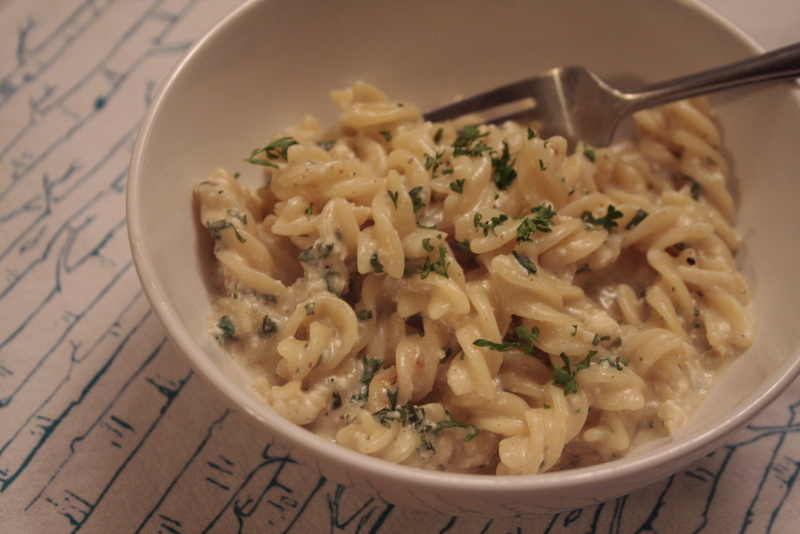 And this simple cheese sauce was way easier to throw together than the aforementioned moms roux recipe. While cooking your favourite gluten free pasta get a frying pan going for the sauce. strain pasta and reserve about 2 tbsp of gloopy water, toss the lot (pasta, sauce and gloopy water) and serve! mmm comfort food for a cold! Hey fellow foodies and food advocates here is some really exciting news! Just click below, sign up and start streaming! I truly believe that everyone, everyone, everyone who shops at groceries stores for their food needs to watch this movie! I have been really keyed into what the makers of Fresh have been doing over the past 3 years, as when it was first released I bought the rights, and hosted a 20+person movie screening in my basement, we served local food, donated by my many great farmer and organic grocer friends, and the night ended with lively conversation and inspiration. The best this about Fresh, is that it didn’t end at the launch of this great documentary, they are very active at keeping folks up to date on the latest legislation around GMO food / fisheries / and failures in the industrial food system. They have created many petition and letter writing campaigns to fight the likes of Monsantos, and are and all round super SOLE food advocates! I LOVE THIS MOVIE.. you will too! Just look at these picture perfect dried leek rings! 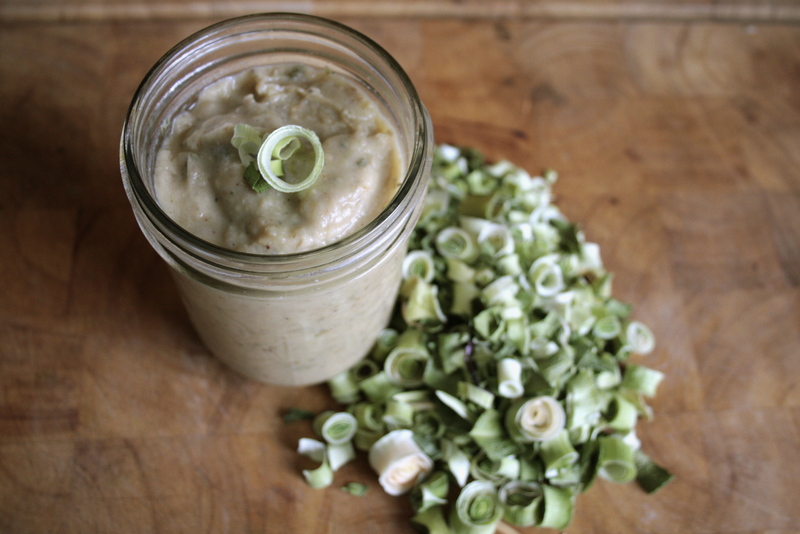 I grew about 60 leeks this past summer and lovingly chopped and dried pounds of them, and just the other day I found my stash in my endlessly deep dried herb cabinet, and I set to work right away with the slow cooker to make a super batch of immunity boosting very garlic laden “cream” of potato leek soup. The soup was just what the doctor ordered, as my sweetie was getting sniffly, and I fought off his bug with about a dozen dosses of oregano oil, vitamin C, resishi mushroom and anti viral shooters, followed up with a full of love + garlic soup! I have been stocking my freezer with large wide mouth mason jars of all the yummy big batches of soups I am cranking out these days. After each batch I usually have a few servings of leftovers as well as 1-2 L of soup ready to freeze down. 3 meals from one pot is a pretty great use of my time. Why is this soup so lucky? Lucky for my sweetie this soup helps kick the bug. Lucky for my daughter the very thing she was craving all day is exactly what her Moma made for diner. Lucky for me this soup batch made many future meals. along with just enough water to cover them. and a good handful of dried: parsley, oregano and sage. and a good amount of fresh ginger grated. Once golden brown, deglaze the pan with a little water and pour the works into the slow cooker. Then using an immersion blender zip up 70% of the soup (leaving just enough potato chunks to keep it interesting. heat for another 30 minutes before serving. 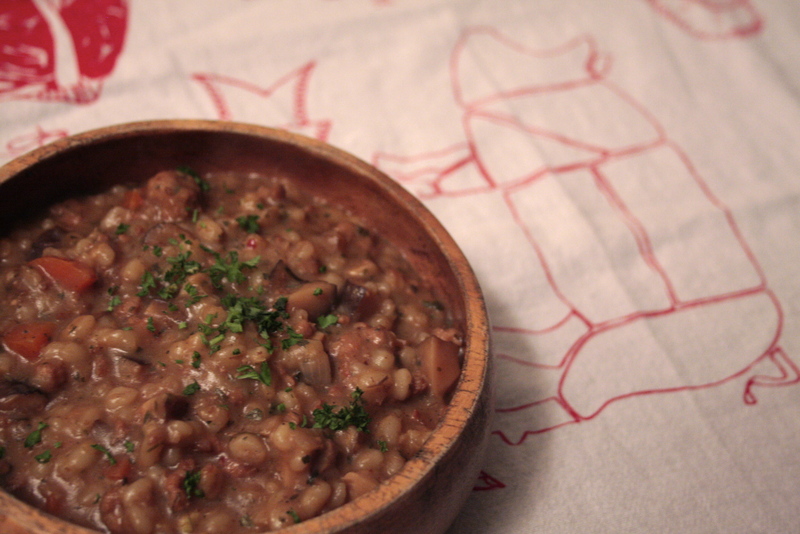 Serve to your sniffling loved ones or just enjoy by the bowlfull! This dish was born out of a bit of a “chef block” I was struggling with. I generally have too many cooking / baking ideas to even attempt to execute, but the past week I have been overrun with other ideas and plans and inspirations, and my culinary life took a little hit. 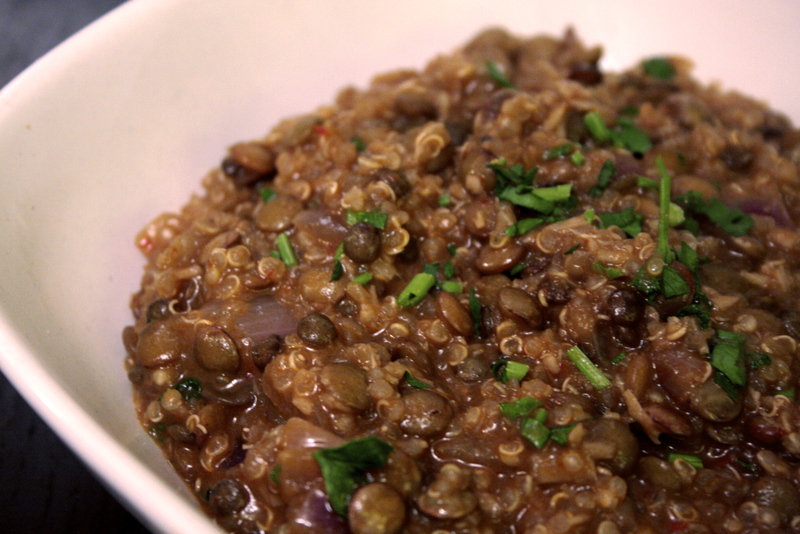 I am happy to report I back on the wagon and these lentils were not nearly as dreary as my cooking mood, when I made them. And like all great soups and stew this huge batch was a million times better the next day. The family has been devouring them day after day, which is good news for a left over pusher like me! All you need is a hot latte for dunking and your on route to white chocolate coconut hemp seed heaven! I will confess these biscotti started life with the aspiration to be a blondie… but they demanded more from their lives… and their maker… after too long in the oven in too deep a pan this blondie in it’s under baked glory was sliced thin and re-toasted making some really yummy dunkers! I have successfully made really nice brownies with this recipe in a 9×14 pan.. but I pushed the limits trying to cram all this goodness into a 9×9 deep square… so try this either way. pour batter as I did into thicker smaller pan, then bake at 375 for 40 minutes, remove from oven cool 5 minutes, then slice into 1/2″ slices lay on cookie sheet and toast at 400 for 15 more minutes. If you have extra white chocolate a little drizzle would be peachy on your finished biscotti! 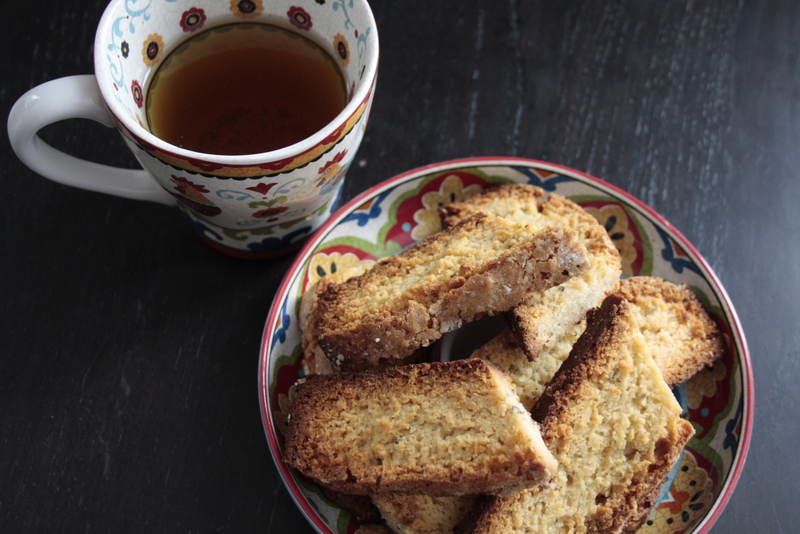 When life gives you lemons.. make coconut biscotti! 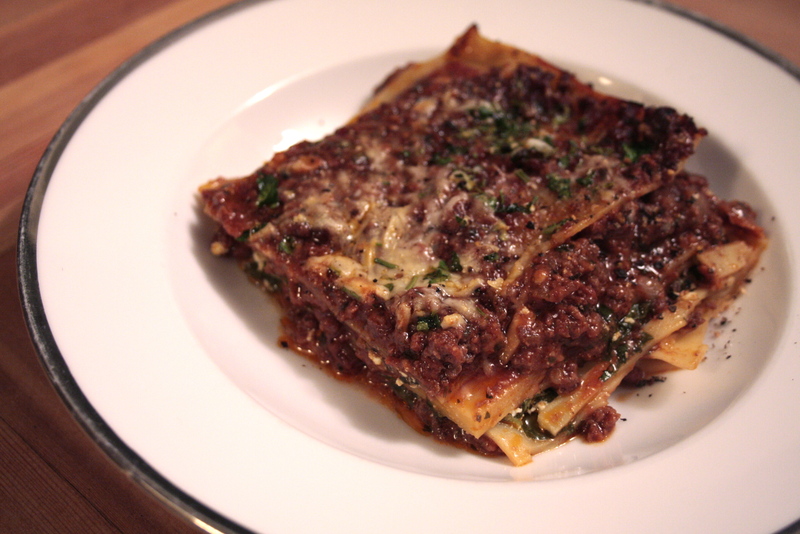 OMG, I think that I made the best meat sauce ever.. of all time, and it had the fortune of ending up in a rich meaty lasagne which was low in cheese but oh so high in taste. This sauce stewed away for about 4 hours, and used up some beautiful flavours from my summer garden. a handful each of dried garden herbs: parsley, oregano + thyme. Stir and simmer away for a couple hours, mashing the whole tomatoes down as you do. Over the course of these hours I added a total of 3 cups of hot water. Before serving (or turning into delicious lasagne) add a handful of fresh parsley chopped finely, along with an extra splash of olive oil. This sauce was so good… I couldn’t stop “tasting” it as it simmered away. Maybe it was the magic taste of summer tomatoes, maybe the never frozen ultra fresh pasture raised beef, maybe the lovely harvested, clipped, dried and packaged herbs… likely all of the above, but truly this is the best meat sauce I have ever tasted, let alone made! I boiled 1 packaged of Italian egg noodle rectangle flat sheets of dough until still firm-ish (el dente). Then I layered a 9×14 pryex dish with a little oil along with a layer of noodles, then a thick layer of meat, followed by a noodle layer, then a thick layer of organic cottage cheese mixed with a whack of fresh spinach chopped coarsely, seasoned with lemon juice and S+P, then another layer of noodles, more meat sauce, followed by noodles and finally a thin layer of sauce and a sprinkle of fresh organic cave aged cheese and a handful of fresh chopped parsley. Bake at 375 for 30 minutes, or until it smells so good you want to chew your arm off. serve and enjoy the silence of true culinary appreciation of a delicious meal. The really lovely thing about this lasagne is for the first time ever I didn’t drown it in layers of shredded cheese… it was all about the rich meaty sauce and perfect semolina egg noodles, and all of that summer in one plate! 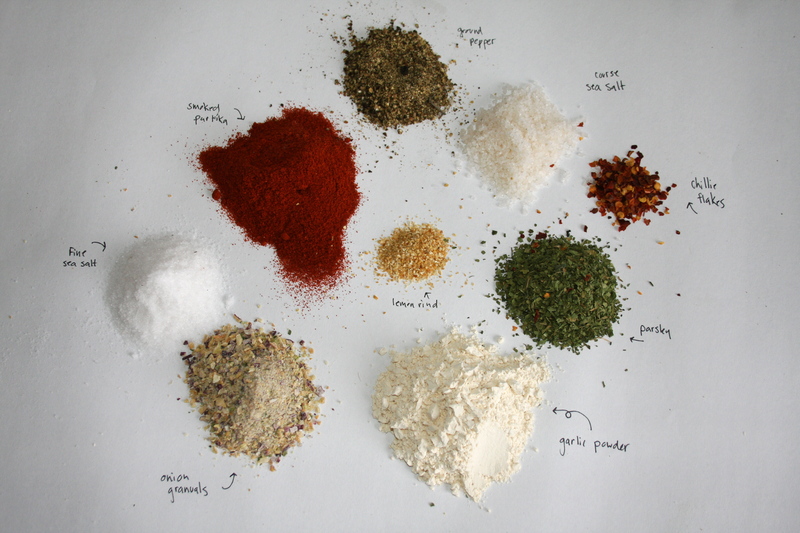 Love seasoning salt, hate msg? I grew up dumping mountains of seasoning salt on just about everything I ever ate… now I don’t let my daughter touch the stuff.. but I still adore it! It finally dawned on me to make my own organic / wild crafted version.. and it’s hands down 100% better that the stuff I adored so as a kid! It takes 5 minutes to whip up a batch… and the recipe is pretty straight forward, so give it a try, and play with the proportions you like.. we like it salty and garlicky! below is a pictorial recipe guide showing the proportions I used. Most mounds are about 1 tbsp. Sea salt (both fine and course), paprika, parsley (homegrown and dried), garlic powder, onion granules (homegrown and dried), black pepper fresh ground, chilli flakes, and finally dried lemon rind. Cayanne is a nice addition too if you like more heat! 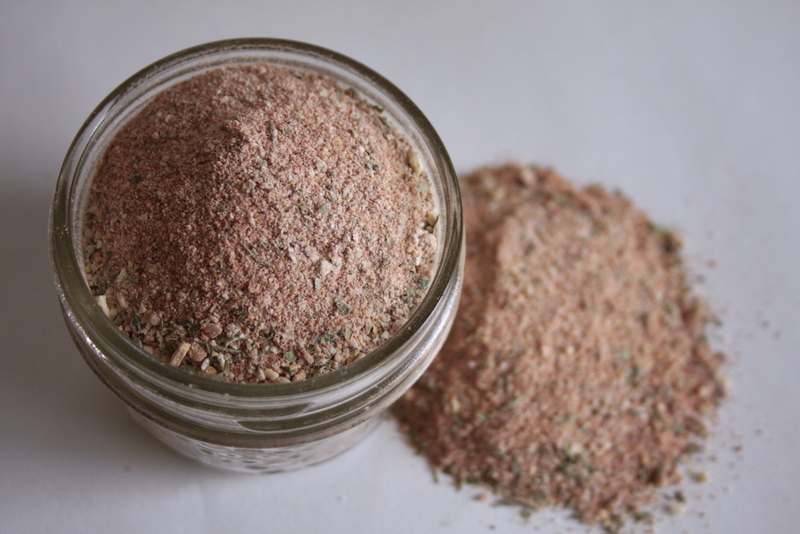 Mix and store in a glass jar, sprinkle it on anything, especially mac ‘n cheese! Tags: how to make seasoning salt, make your own seasoning salt, no msg seasoning salt, recipe for making seasoning salt. Before moving to the Slocan Valley of BC, whenever I heard mention of borscht I immediately thought of beet soup, that bright deep pink concoction often served with a dollop of sour cream… which to be honest I avoided my whole life. Well things are a little different out here in the valley. The Doukhobor population and culture is really rich here and I kept seeing this creamy orange soup everywhere… borscht they called it, and it was the exact opposite of what I expected. This Doukhobor borscht was bright and creamy, complex and hearty. I have enjoyed many a bowl, at community events and local cafes. I finally set out to try my hand at borscht making and I have to say the results were pretty damn good, considering I had no mama to teach me. 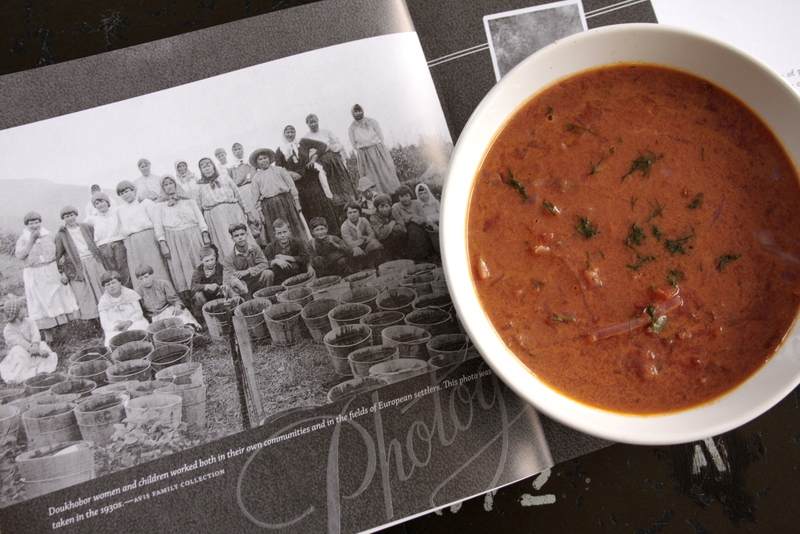 I did however talk to many of my Doukhobor friends about how their mom’s made this soup, I also researched many recipes on line, and finall settled on one which I thought was most inline with the flavours I was after. Now making Borscht is NOT for the feint of heart. It is a multi pot multi hour process with many of the hearty root veggies being prepared two different way, in both cutting and cooking. It involves a whole lot of cream and butter, and some serious patience. And only now do I understand why someone might pay $15 / L for this soup, as I have seen it advertised often throughout my valley. Props to those Doukhobor Momas! So if you are looking for a grand event of a soup making challenge, I urge you to try this out, I will post the recipe in it’s original form along with it’s source link, then below you will find the very few tweaks and thoughts I have from my borscht making adventure. This is one of those recipes I tried not to mess with too much, as it was all new territory for me! Vegans beware… this is not for you.. however I think a nice olive oil in place of the butter and veggie stock in lue of the crazy amount of cream would net a really nice veggie soup… and I will certainly try my hand at a vegan version soon! I will also note the book open in the background of this picture is The Third Crop by Rita Moir and it is a wonderful pictorial historical book on the history of my new home land, and we have really enjoyed reading all about the development of the Slocan Valley and the roll the Doukhobor people have played in making my valley what it is today! •In fry pan pour 4 cups (1L) of canned tomatoes and mash. Add 1 tbsp (15 ml) butter and 1/4 cup (60 ml) of onions and simmer until thick. •Place 1/4 cup (60 ml) of butter, 3/4 cup (180 ml) chopped onions, 1/2 cup (125 ml) finely grated carrots and 1/4 cup (60 ml) chopped green pepper into a frying pan and sautee until transparent – do not brown. •In a separate frying pan, place 2 cups (500 ml) of shredded cabbage and 1/4 cup (60 ml) of butter and sautee until tender – do not brown. •Boil 3 qts (3L) of water in a pot, add 1 tbsp salt, 1/2 cup (125 ml) chopped carrots, 4 medium potatoes halved, 1 beet, 1/4 cup (60 ml) chopped celery, and add 1/2 of the simmered tomatoes from step 1, continue to boil ingredients in pot until potatoes are tender. •Remove potatoes and mash with 1 tbsp butter, 1/2 cup (125 ml) cream, 1/4 cup (60 ml) green pepper, 1/4 cup (60 ml) green onions, 1 tbsp dill, then set aside. •To the pot in step 4, add 1 cup (250 ml) of diced potatoes, 3 cups (750 ml) shredded cabbage, 1/2 cup ( 125 ml) cream and bring to boil. •Pour the mashed potatoes back to pot in step 4, bring to boil. •Remove pot from heat and add remainder of simmered tomatoes from step 1, fried onions and carrots from step 2, the fried cabbage from step 3, add 1/2 cup (125 ml) green onions, 1/4 cup (60 ml) green pepper, and 1 tbsp dill. •Discard the whole beet. Season to taste with black pepper. 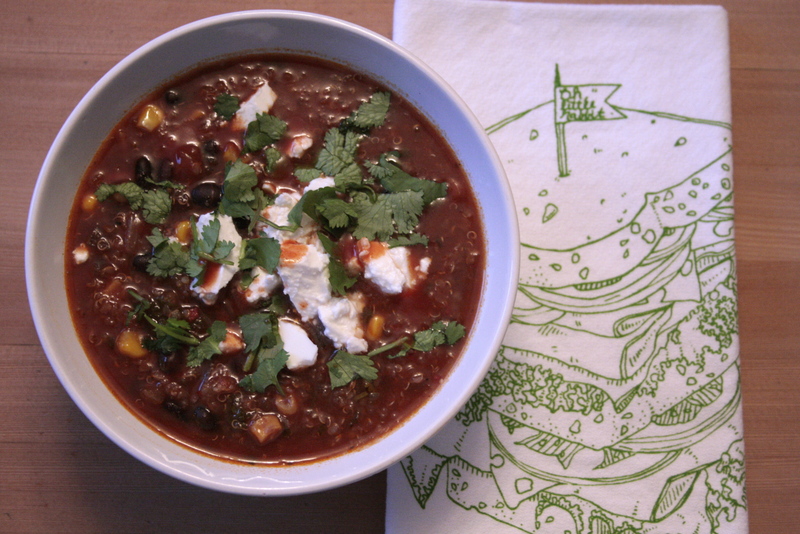 *** Whew that is a set of instructions and this is no one pot chili! I did a few things ever so slightly different that called for… I only had 1/2 green cabbage and half of a red cabbage.. so my soup was a little redder than I was hoping for. I was dreaming of a Fominoff style borscht (from a local bakery: Fomi’s Bakery) Theirs is less creamy more yellowy orange and that is really what I was after… next time I will omit the boiling of the while beet and I will also only use green cabbage.. along with more carrot and less tomato, in exchange for a veggie stock… also less cream would suite me just fine. Having said all of that.. this looks and tastes like many bowls of borscht I have enjoyed over the last couple years, and I am sure if you are up for the challenge, you will indeed enjoy the results! 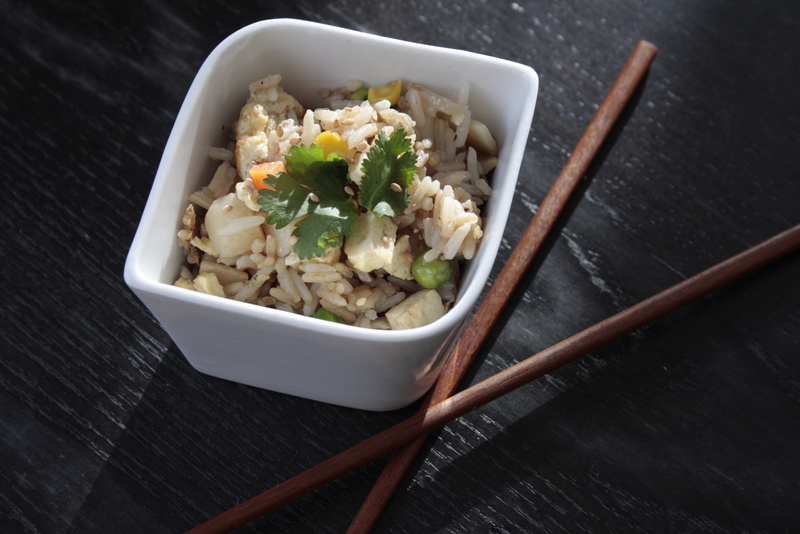 My family goes crazy for this easy fried rice dish, and my sweetie just loves that I used frozen mixed veg for the ultimate food court authenticity! I actually have run out of both corn and peas from my harvest (had a bad crop of both this year) and although I do have carrots, when I saw the mixed organic veggie bag in the freezer section of my local natural food store… I know these little babies were destine for a veggie fried rice dinner.. sans foam take out container. 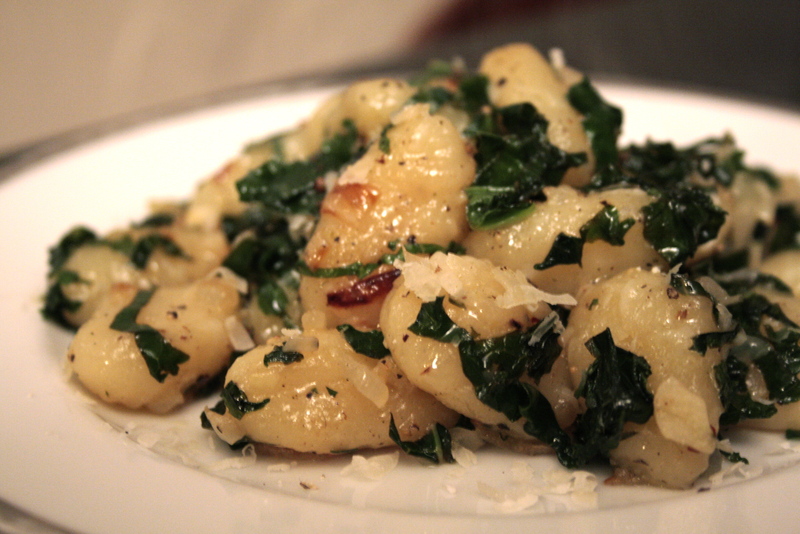 Simple, good and fast, also pretty low on the guilt scale (as far as gnocchi goes). I used gluten free gnocchi’s in this recipe and just enough kale to make you feel good about a potato dumpling dinner! You can make this meal in 10 minutes and the kale won’t scare away little ones, because it’s cut razor thin and is barely cooked, just ribbons of green goodness laced in crispy salty cheese and garlic, surrounded in pillows of potato! Meanwhile bring water to boil for gnocchi’s, cook and as soon as they start to float to the top remove them with a slotted spoon and gently put them into the frying pan, with the onion and garlic. Finely sliver 4 large leafs of kale (stock removed) into razor thin ribbons, and toss them into the pan, along with a good squeeze of lemon juice and a pinch of hot chilli flakes. Grate a good amount of fresh parmesan cheese on the works and quickly toss everything together. 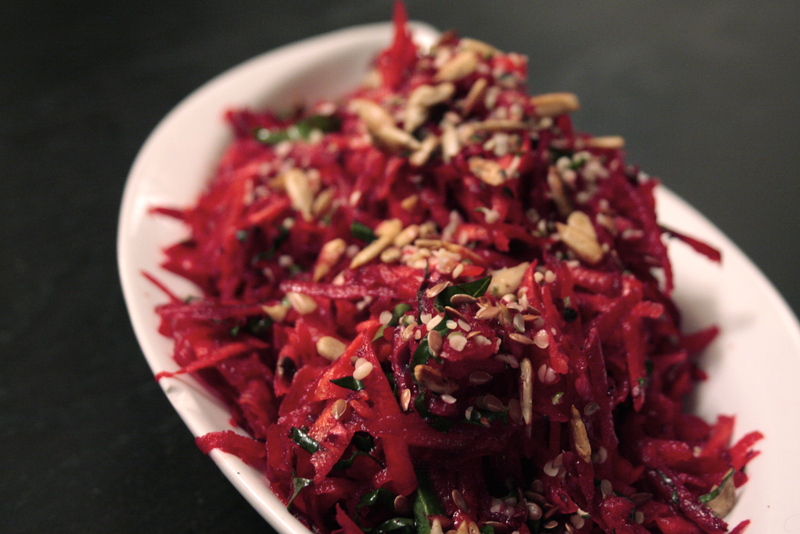 Mmm beets and carrots fresh from the frozen January ground are insanely sweet + bright! What a treat in the midst of winter. Tonight’s salad is a tribute to these brilliant candy like treats! Best of all it’s a one bowl 2 minutes salad, that serves as an awesome mid week meal in itself! eat, moan with delight, repeat! Another day in the studio meant another slow cooker meal for us, and as the temperature has dropped a few degrees it was time to bust some lovely local organic meat out of the freezer, pork sausage indeed! 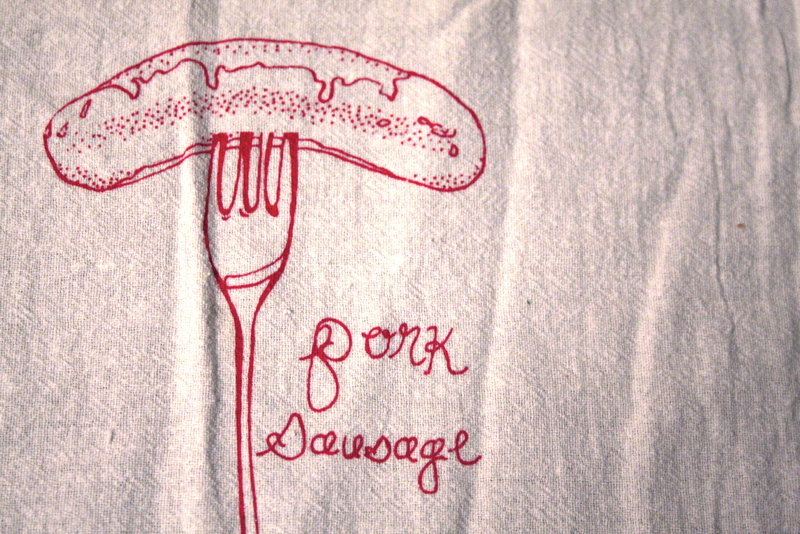 I love this dish cloth from ohlittlerabbit when i see it I can hear the little jingle “put british pork on your fork” from the 90’s UK pork campaign. Well this pork isn’t british, but it’s happy pig from just down the road and it was about time my crew did a happy meat dance! This dinner was barley soup meets pork pie… only better, and pastry crust free! and a pinch of each: rosemary, thyme, & parsley. In a heat safe bowl soak 6 dried mushrooms in 1.5 cups of boiling water for at lest 30 minutes, remove stems, dice into small cubes. 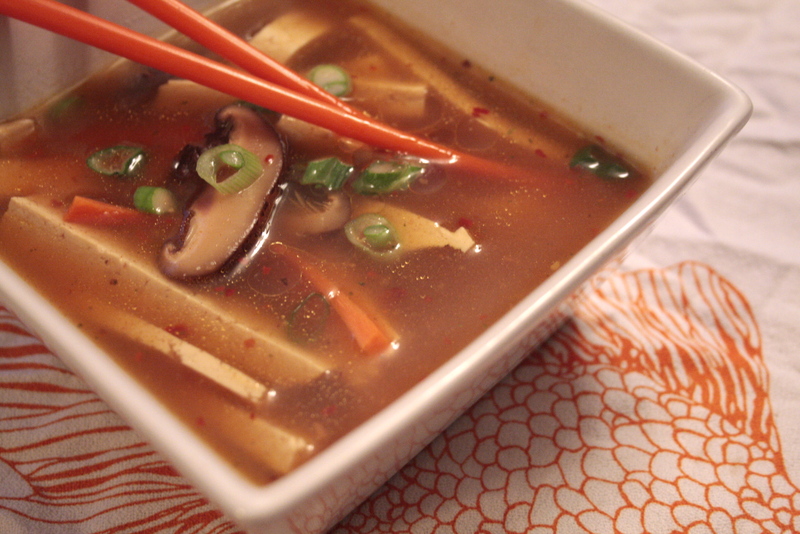 Add water and mushroom to slow cooker. Add the meat and onions to the slow cooker, then deglaze the frying pan with 1 cup water, and add all that flavour goodness to the cooker as well. Let everything cook down for a couple hours then serve and enjoy! I spent this Sunday cozied by the fire in my studio setting up my loom, tangled in a million threads of wool, luckily I planned ahead and got the slow cooker out in the morning and made a fabulous sunny squash ginger root veggie soup… perfect for a chilly full moon dinner! I think my efforts in this dish amounted to about 6 minutes, and it took less than that for the whole batch to disappear! When you are ready to eat zip the lot up with an immersion blender, garnish with green onions and toasted sunflower seeds and a drizzle of your favourite hot sauce. Mmm cold January cup-o-sunshine. 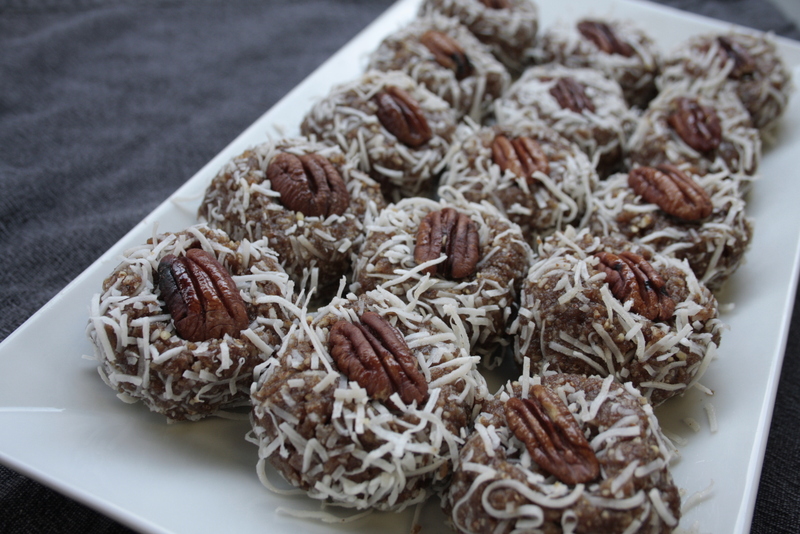 These bliss balls are way too easy and way too healthy and tasty not to make and eat all the time! Once combined portion with a small mechanical ice cream scoop (or spoons) and coat with more shredded coconut, top with a pecan and serve with a smile. I am not the biggest fan of coleslaw… mainly because I HATE mayo and all whitey type dressings, so I have spent most of my life avoiding coleslaw and other picnic salads… but as my eating life flows with the seasons (and my pantry) now more than ever before I am trying to make the best of my root cellar veggies, and am working on creating salads from the pantry while taking a pass on the plastic packed spring mix salads. 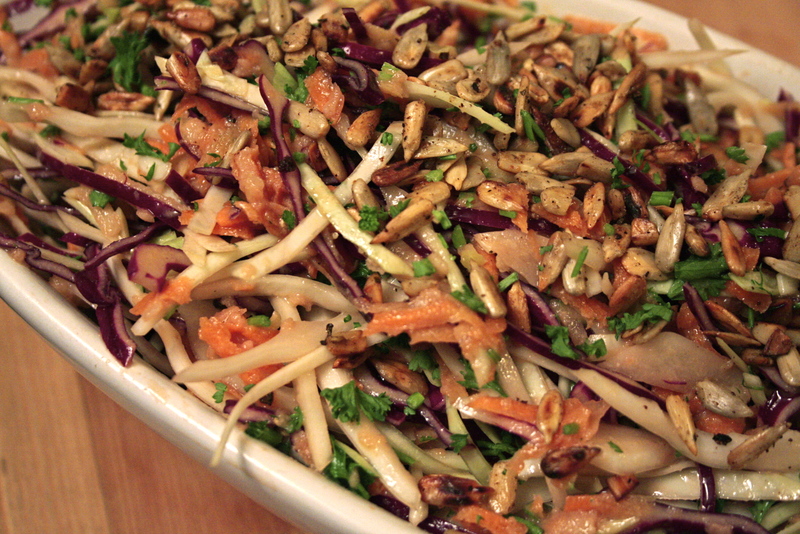 This slaw is a lovely bright crunchy and fresh dish that doesn’t leave you longing for baby butter leaf. Not sure how it compares to traditional coleslaw, because I have never really eaten it before, but this is nice. I served it over brown rice with fried tofu and it was the perfect addition to a rice bowl. You can let this salad soak up dressing in the fridge for a while before serving (even overnight), Enjoy. Tags: alternative to coleslaw, cabbage recipe, eating from the pantry, gluten free, root cellar slaw, vegan, vegetarian cooking. These are perhaps my most favourite cookie ever,they are crispy and rich and perfectly sweet yet slightly savoury, and they are most certainly well received every-time I make them. 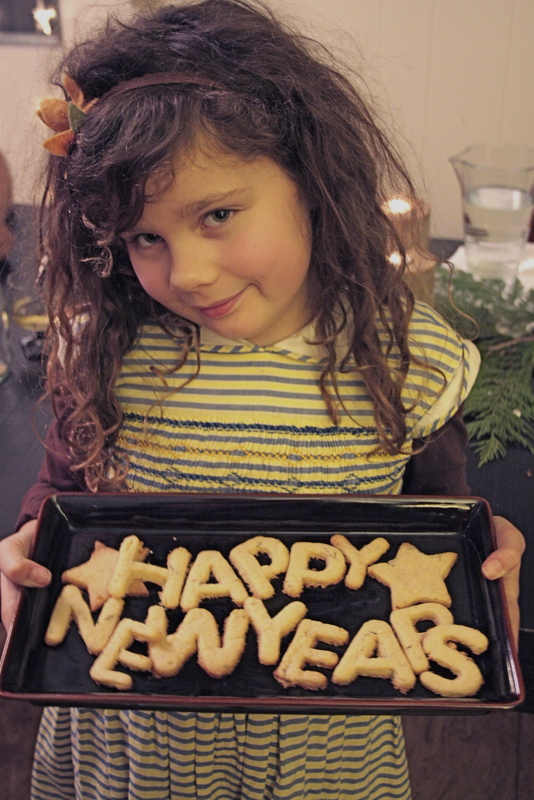 We brought in the new year with a dinner party (followed by a fabulous outdoor skating party) and my daughter insisted on making dessert and was eager to test out some cookie cutters we had rediscovered during a new year kitchen cleaning. We also discovered yesterday that these cookies make really good snack-food sustenance if for some unknown reason you find your self feeling under the weather the day after a big party! This cookie recipe also brings us to essential cookie elements 5: A cookie should embrace some unexpected and exciting ingredients, because old chocolate chip leaves something to be desired (at least for this non cookie lover), and essential cookie elements 6: IT”S ALWAY BETTER WITH BUTTER! enough said. I embrace vegan cooking and baking on a weekly basis but a cookie is best when it starts with real farm fresh butter. 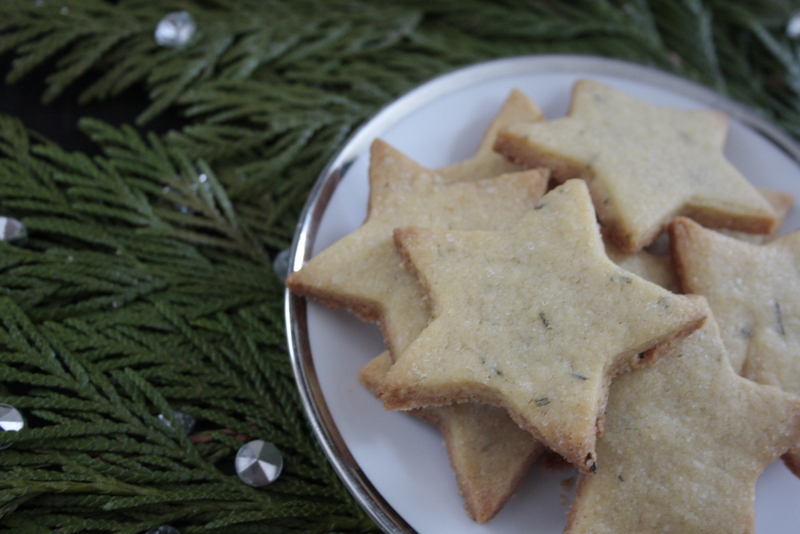 with 2011 behind us I think these buttery treats are also on the back burner for a while! I look forward to sharing more seasonal yet healthy recipes in the coming weeks, as for today lets have a sinful kick off to a fresh new year, shall we? brown slowly stirring often over medium heat, as soon as the butter bubbles turn a deep dark golden brown, add 2 tbsp maple syrup and remove from heat, stir well and allow to cool. Form dough into a small slab and tightly fold in parchment paper. Set in fridge for 20-30 minutes. Roll dough to 1/4 – 1/2″ thickness and cut into desired shapes. Bake cookies on parchment lined pan at 350 for 10-14 minutes (depending on cookie size and thickness) remove from oven when edges are browned.